23,000 foster youths age out of foster care with little or no support. Combining innovative technology with human connection and support, we can change this. Often when people hear the term foster youth they envision a moment in time – children that are temporarily removed from their current family to be placed with another. However, approximately 29,000 foster youth age out each year without returning to their family home or being adopted. These children will turn into adults and face the real world on their own without the family network and support that most of us have relied on throughout our young and adult years. As a result, foster youth often face significant challenges along their life path. For example, by age 24, only 3% will obtain a four-year college degree, 30% will face homelessness at some point, and 50% will be earning less than $10K a year. Additionally, by the age of 18, as many as half of America’s foster youth have had their credit destroyed by fraudsters. With resources and support their story can be very different. One example is Sixto Cancel. Sixto found a calling by channeling his experience as a foster youth – and his passion for technology – to bring the two together and vastly improve the experience for foster youth. Sixto has been internationally recognized for his advocacy efforts – named to the Forbes 30 under 30, the White House Champion of Change in Foster Care, the Top 24 Under 24 in Changemakers for Government and brings his personal experience and expertise to numerous events worldwide. In 2015, Sixto founded Think of Us.org a U.S. nonprofit whose mission is to help foster youth successfully transition into a prosperous adulthood by leveraging the power and innovation of technology. Think of Us was founded on the basic belief that surviving is not enough. Foster youth need and deserve so much more. We believe that all young people, despite adversity, can become thriving adults if the doors are opened. My life path validates this and I hope to create many more stories like mine. 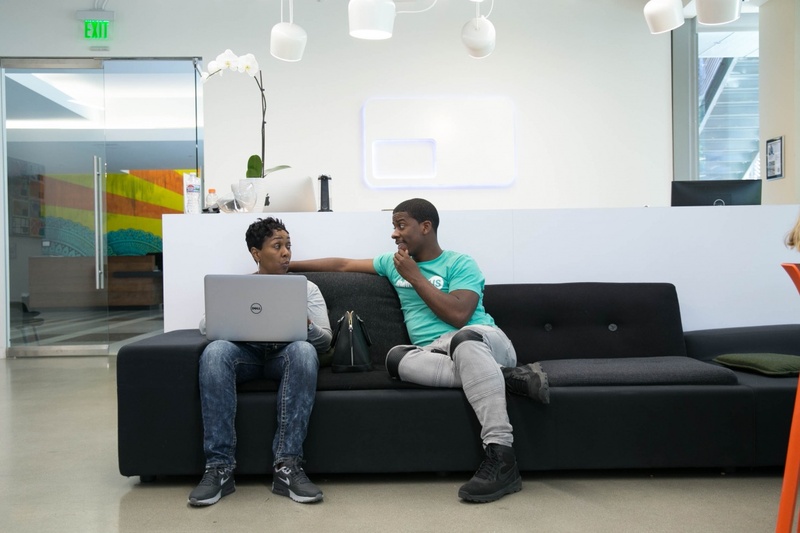 Think of Us partners with nonprofits as their tech and data analytic partners to amplify how foster youth are engaged in education, training, mentoring and employment opportunities. For example, youth can leverage the Think of Us app to create their own personal advisory board of adults to help them as they transition out of foster care. Through the app they create a transition plan that is leveraged by social workers, courts, family and friends to optimize the person’s actual transition. Additionally, the nonprofit is applying technology to improve and bring efficiencies to foster care management and evolve the care system to be a client centered and data driven, goal-focused framework. 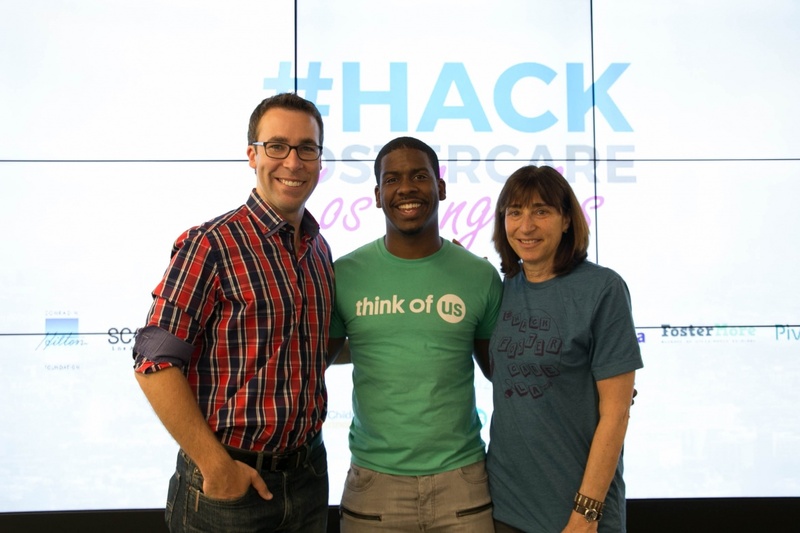 One of the most notable achievements of Sixto and Think of Us is co-designing the White House’s first hackathon for foster care - #HackFosterCare - in 2016. 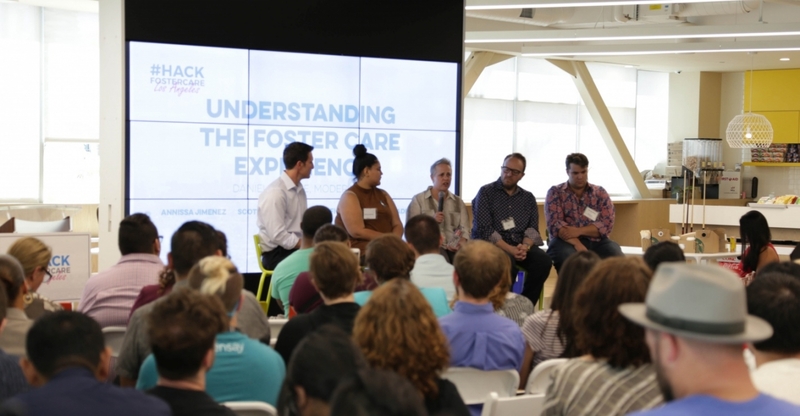 From this time Think of Us #HackFosterCare has taken place in major U.S. cities from Los Angeles to New York to Silicon Valley. When you start to look at the challenges for foster care – case management, foster parent recruitment and retention, tracking of personal data, so much of this can be improved and streamlined through digital platforms. Digital solutions are no longer out of reach, it’s just about rethinking who can benefit from them. Our hackathons bring together the best of both worlds – the youth who understand the challenges first-hand and the organizations trying to tackle these. At the Silicon Valley Children’s Fund we share the mission to improve the life outcomes of foster youth. Specifically, our vision is that foster youth within Silicon Valley are self-reliant by 24. With projections that nearly 40% of foster youth transitioning will be homeless within 18 months, we need innovative, scalable solutions that address the variety of deep-rooted problems facing foster youth. 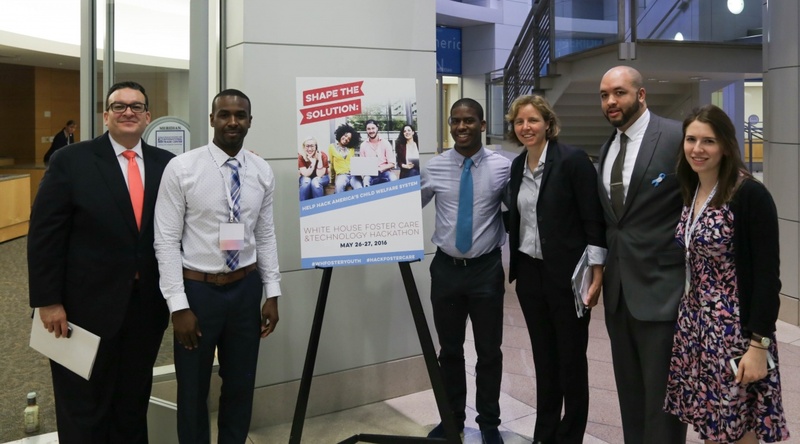 We have developed a unique pathway for foster youth success that encompasses three key pillars – education, leadership and employment – stretching from high school through college graduation. Our emerging scholars have an 83% graduation rate and our higher education scholars are 10x more likely to graduate from college. Digital literacy is a core component to our program and where we collaborate with Symantec’s Fostering a Secure Tomorrow (FAST) program. What many are not aware of is that young people in foster care face a range of unique risks when it comes to identity protection and cyber security. For example, before reaching the age of 18, many foster youths have already become targets for identity theft and had their credit destroyed. FAST was launched this year by Symantec to help foster youth between the ages of 16-21 restore their identities and curb the heightened risks of identity theft. FAST will help those affected by identity theft, by offering cyber security education, access to donated Symantec/Norton software products and restorative services from LifeLock. Technology is a game changer to empowering foster youth – both due to its potential to improve the system, but also because it connects people to critical resources ranging from financial services to education and most importantly to the people and connections that are necessary to building one’s life and future. Young people in foster care experience disconnection. The magic sauce here is someone to help you, who you can rely on. You can’t avoid the importance of human connection. Changing a life isn’t simple, however, when we bring together the passion and drive of the individual, such as Sixto, the activism and network of community organizations such as Silicon Valley Children’s Fund and the products and know-how of leading companies such as Symantec, it starts to become a reality.